Until last summer I had grown crops of delicious tomatoes without any problem. 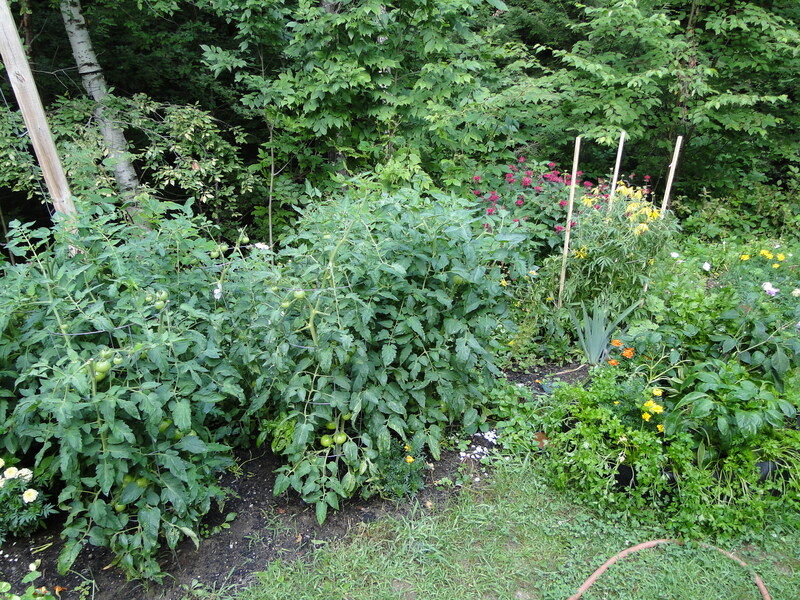 Then, suddenly my beautiful, tall plants, which were loaded with nearly ripe tomatoes, began to turn brown. I watched in horror as day by day they looked worse, and each tomato became deformed with brown spots. I knew nothing of blight, or late blight, which is more appropriate I think, but I did do some research to try and discover what was wrong in my garden. I rotate my crops each year and no tomatoes had grown in this spot before. I carefully pour over my gardening books so I know which crops should follow which, and which ones like to be paired in the garden. I thought I had done everything right, and with the crops looking so darn good – it was depressing, to say the least, to lose all those luscious tomatoes. After all, I wait a whole year to be able to pick fresh tomatoes from my backyard each August! What I have found is that blight affects potatoes and tomatoes. It was the cause of the Irish Potato Famine in 1845. I didn’t grow potatoes last year. But I had six, celebrity tomato plants growing nicely when it hit. The disease is caused by a pathogen that can migrate to infect other areas easily. It can survive from season to season, but needs a living host. For those of us who live in the northeast, temperatures are so cold over the winter (remember February anyone?) that the disease usually does not hang on from season to season. It tends to bother potatoes more in that way, as it can survive on tubers still underground. This is according to the Cornell University article link below. 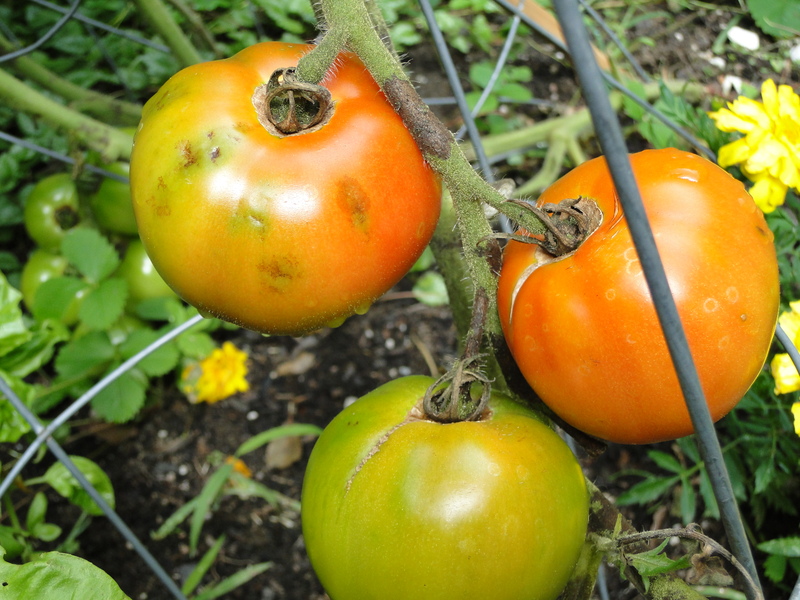 So when we start fresh this season, how do we make sure our backyard tomato plants will not fall victim to late blight just as those tomatoes begin to ripen? 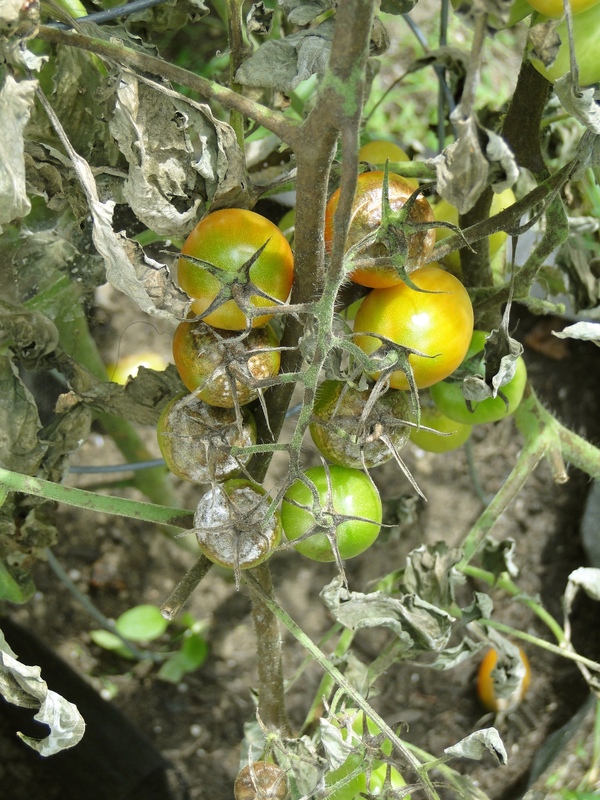 Buy blight-resistant tomato varieties. According to this article, found on the Cornell University site, ‘Mountian Magic’ and ‘Plum Regal’ are two to look for. The Cornell page also lists more at the bottom. I notice that my favorite ‘Celebrity’ is not there. Long time farmers and growers will already know that plants should be watered from the bottom to keep water off the leaves. Any leaves that look infected should be removed right away and bagged up to throw away. Be sure you are seeing late blight and not another disease or issue that can look similar. Don’t allow volunteer plants to grow. Start with quality seeds or buy good, healthy plants. Cool temperatures and wet conditions – or high humidity – is the enemy. All we can do is hope for better summer weather and pray for a good crop. 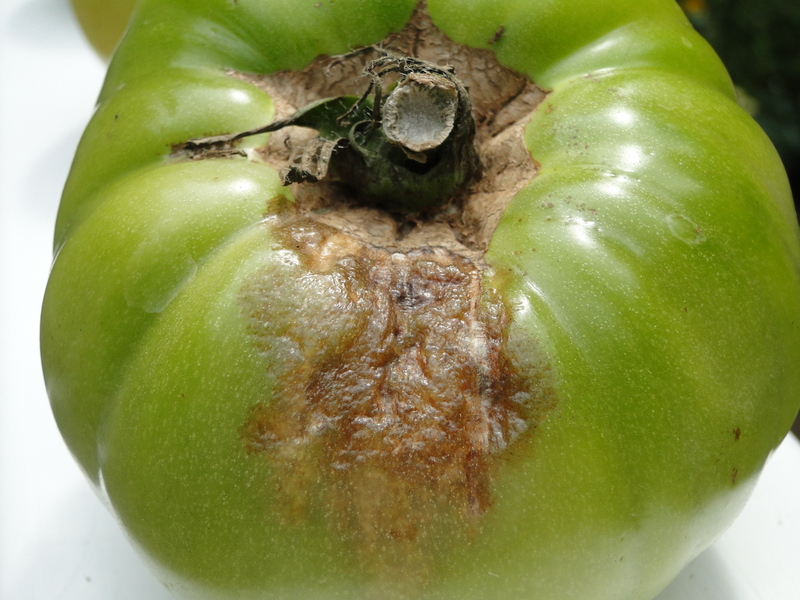 By the time you see the effects of late blight, you can probably kiss those beautiful tomatoes good-bye no matter what you do. At least our lives do not depend on our crops. We can buy from the Farmer’s Market if need be. 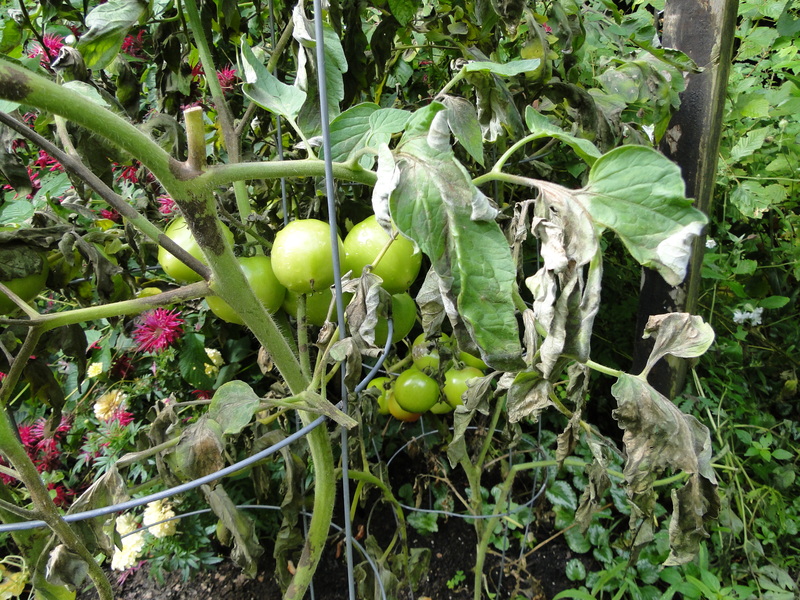 Late blight affected the grape tomato plant as well.